The concept of love languages has restored countless marriages and helped many parents to connect with their children on a significantly deeper level. Learning to express love in a way it can be heard is a skill that cannot begin too soon. 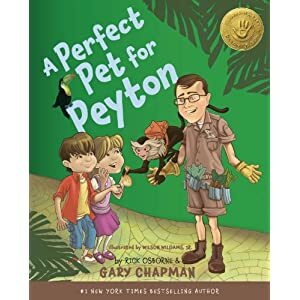 Dr. Gary Chapman has joined up with Rick Osborne and Wilson Williams to craft a picture book to help children grasp this relationship-altering knowledge. As with the other 5 love languages materials, this book is top notch in appearance and in clear presentation of the material. My kids always get excited about packages, but sometimes when they see it is “just another book” they head off their separate directions. Not so this time. As soon as my 8yo got it out of the package, her older sister and younger brother were begging me to take a break and read to them. With my toddler copying, “Book, book.” How could I refuse? The story takes the reader through the birthday celebration of a set of twins, a boy and girl, who are excited about the day ahead when they would celebrate their birthday at Mr. Chapman’s Perfect Pet Pal Emporium. Throughout the day as they interact with the animals and their birthday party guests, you clearly see the various love languages exemplified in each character. An example of each love language comes to life as the children hug, compliment, help, give, and just enjoy each others company. 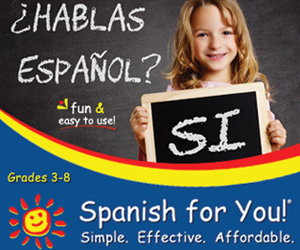 And, in the process they each find an animal that is a living example of their language as well. My kids completely loved this book and I have read it countless times already. The colorful pictures, the animals on each page, the hidden insect in each picture, and even the conversation about love languages drew them in time and again. The book closes with some conversation starters to begin to help children to see their own love language and that of others as well. This book offers a great way to draw your family together and is great for any age child. It is a longer picture book, so younger kids might enjoy it more split up over a few sittings. For my 6 and up kids we read it straight through each time. The lesson fits for everyone and can be a great spark to encourage a greater demonstration of love between siblings. Of course, one fortunate reader will win a copy of this fantastic book. If you would like a chance to win this book leave a comment on this post. Be sure to leave your email address as well so I can get in touch with you if you win.